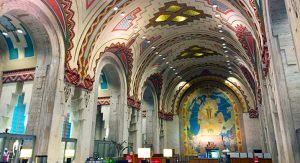 Williams Electrical and Telecommunications Co. (Williams) worked hand-in-hand with Motor City Electrical Co. (MCE) to complete nearly $3 million in renovations in the historic Guardian Building. The project consisted of the demolition and renovation of a 200,000 sq. ft. area within the building, spread out on over fifteen different floors of the 40-story high-rise. The electrical renovations included lighting, power distribution, branch wiring, low voltage lighting control, uninterruptible power system, fire alarm, voice/data raceways, audio/visual raceways, and security raceways. The work took a little more than two years to complete. 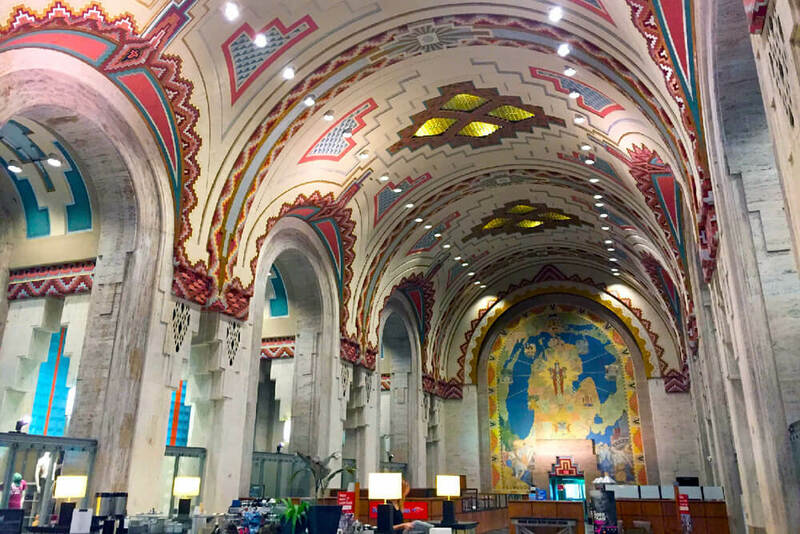 The Guardian Building was built 1929 and originally named the Union Guardian Building for its original occupant, the Union Trust Co. It was designed by Wirt C. Rowland of Smith, Hinchman & Grylls (now known as SmithGroup). 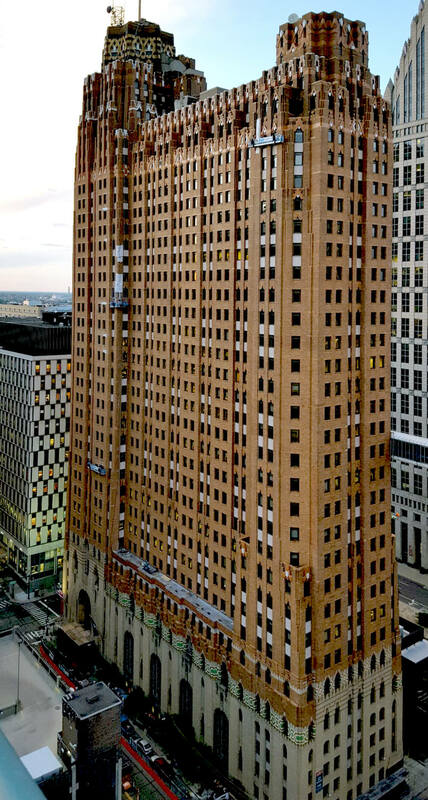 Rowland also designed Detroit’s Buhl and Penobscot buildings. The building sits on bedrock supported by 72 caissons sunk through hardpan to bedrock 120 feet below ground. The steel-framed building is covered with 1.8 million bricks in a uniquely formulated shade of orange designated as Guardian orange by Rowland. 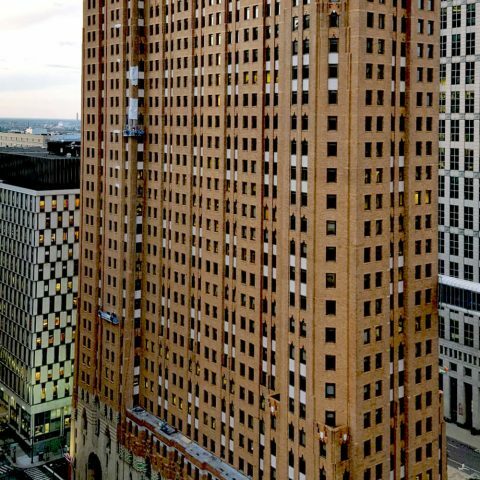 A granite base with carvings by world-renowned sculptor Corrado Parducci includes multistory windows surrounded by tile. 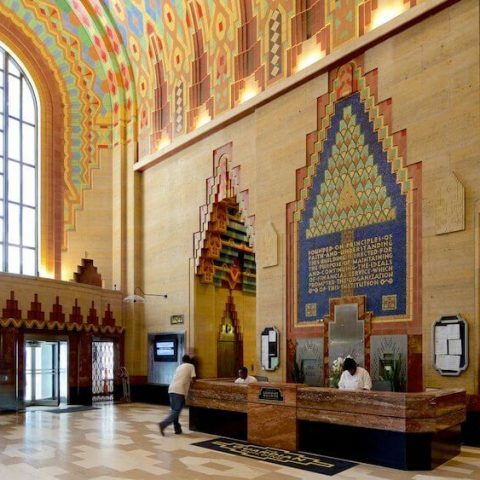 A 150-foot-long main lobby with a three-story vaulted ceiling features an Aztec or post-Mayan design with multicolor, interlocking hexagons of Rookwood pottery and Pewabic Tile. A truly unique feature of the Guardian is the ceiling. It is entirely acoustical with a 3/4-inch mat of horsehair over the cement-plaster ceiling and a perforated canvas atop the mat, which was then painted. The ceiling was hand stenciled and cut and painters utilized a palette of 16 colors as well as solid gold leaf. 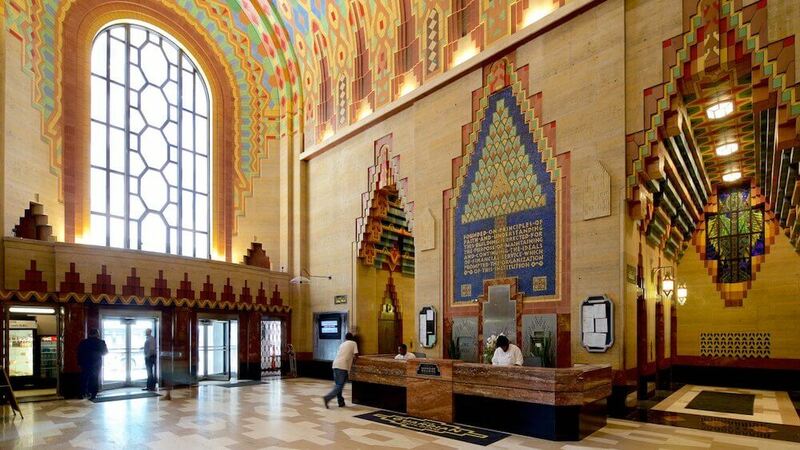 The Guardian Building also provides fantastic examples of Art Deco architecture. There are large, simulated skylights made of small glass tiles, prisms, and crinkled glass. 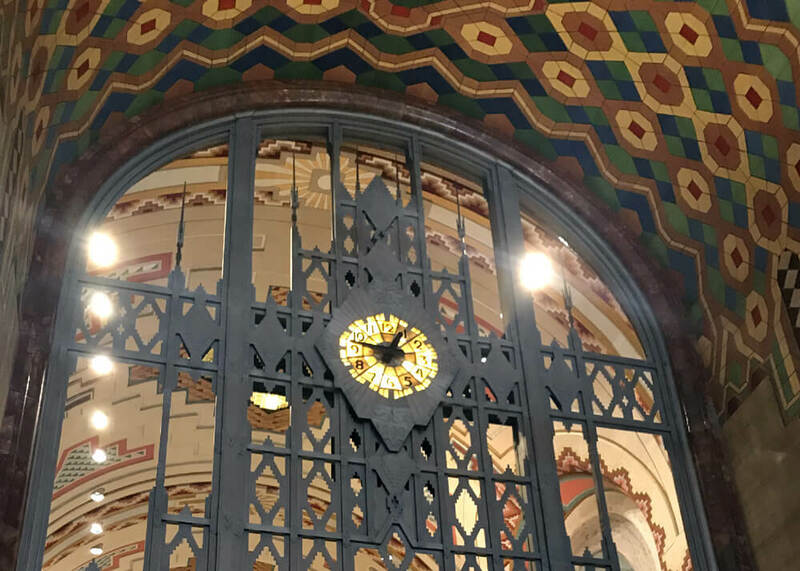 Stained glass and mosaics decorate the walls surrounding the elevators. 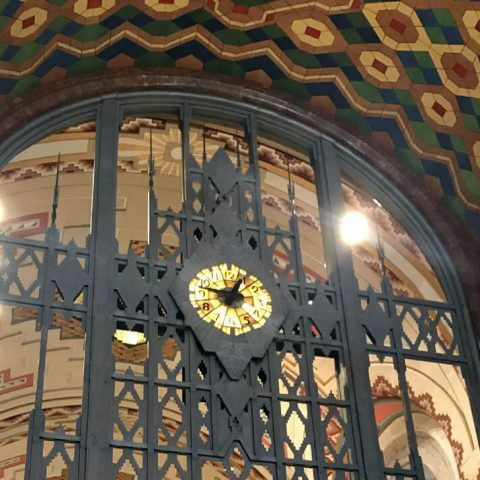 An expensive Monel nickel alloy metal screen features a Tiffany-designed clock in its center. The giant columns are formed of Italian travertine atop bases of black marble imported from Belgium. Blood-red Numidian marble from Africa was also used in the Guardian as well as limestone and terra cotta. 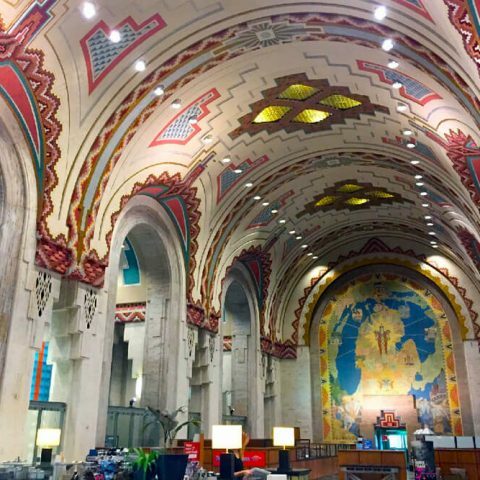 The Guardian Building was added to the National Register of Historic Places in 1989. This, along with the building’s unique architectural features, often presented the construction team with unique constructability and material handling logistical challenges. Williams and MCE collaborated with Hines, the construction administrator, and Tooles/Sachse, the construction manager, to diligently coordinate all aspects of the project and maintain an aggressive work schedule to complete the renovation on schedule.